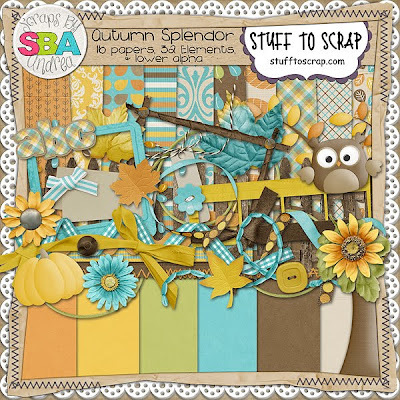 I totally fell in love with the wonderful colors in Scraps by Andrea's newest kit, Autumn Splendor. Look how sweet & beautiful this kit is. It's available at Stuff to Scrap - image is linked to product in store. 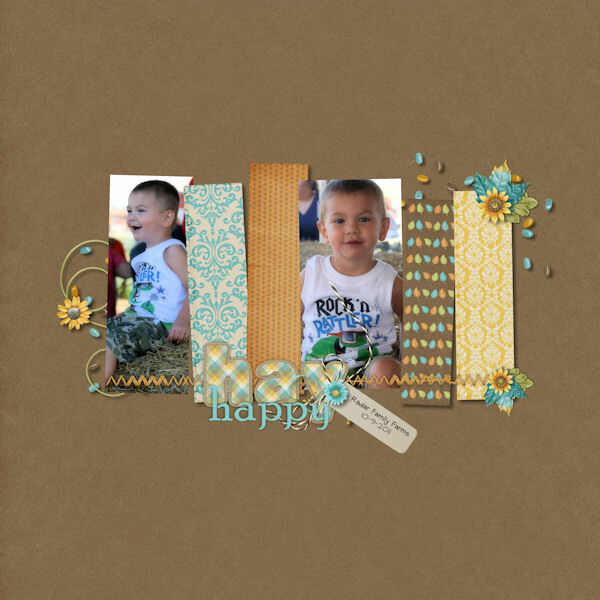 Here is my layout I created for a Speed Scrap.